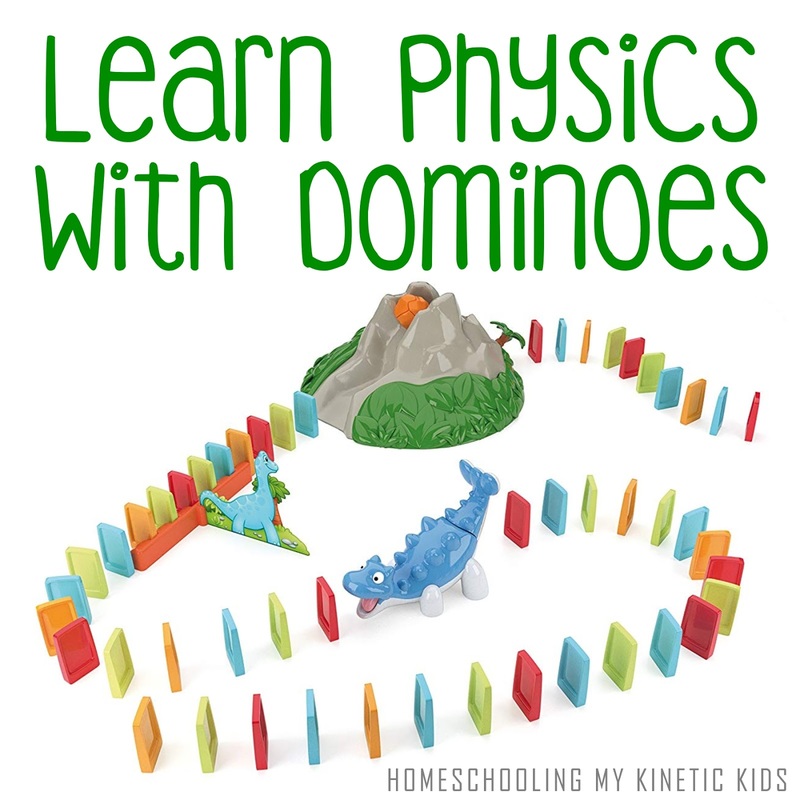 For Christmas, my kids received a Domino Junior play set. The Jr dominoes are slightly wider on the bottom than the top so they're a bit easier to set up. 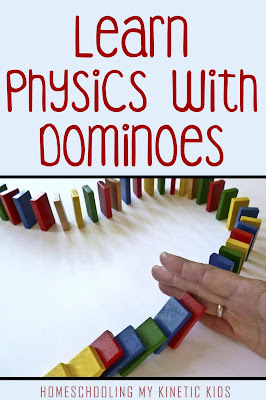 Since they are particularly destructive, setting up dominoes runs is both fulfilling and challenging for them. 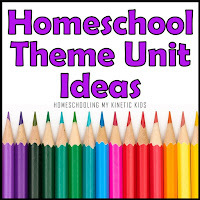 It's a great activity for them to all do together as well, encouraging communication, cooperation, and sometimes separation. What the kids don't know is how much physics they're learning as they watch these chain reactions! 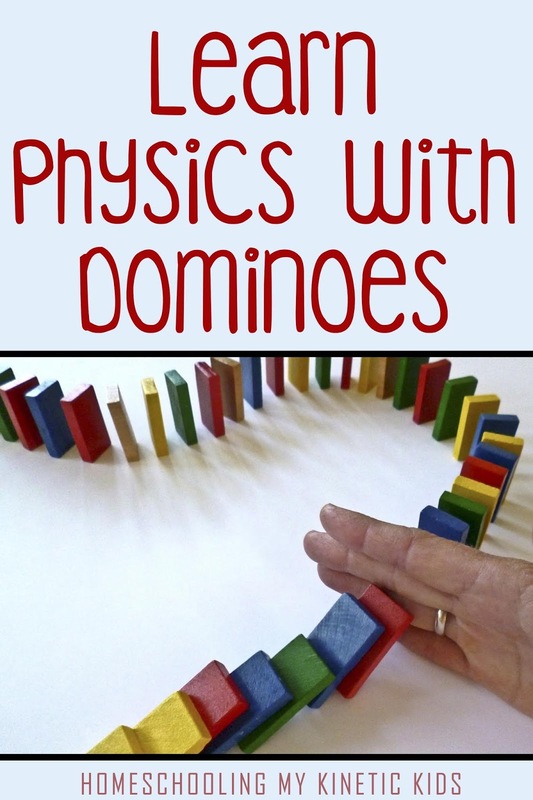 Each domino is potential kinetic energy stored inside of it and waiting for a force to act on it. 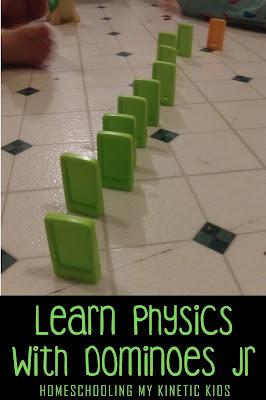 When the child touches it with his finger, he sets off a sequence where one domino affects the other and the next one and the next one until the last one falls. 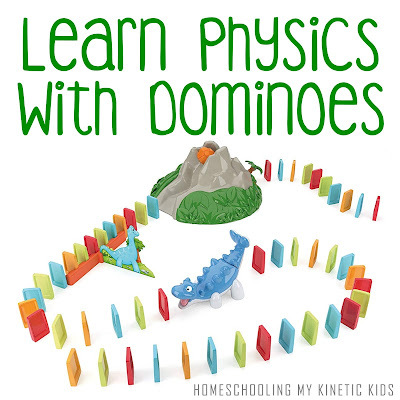 The line of dominoes is an excellent example of Newton's 1st law. The law of motion says that an object at rest will remain at rest unless acted on by another force. 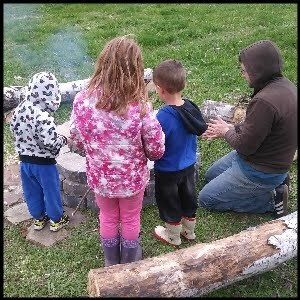 The dominoes will stay on their edge forever as long as nothing disturbs them. However, if someone stomps too hard next to the line, blow on them, or touches it, one or more dominoes will begin falling and will create a chain reaction. Once the dominoes start falling, they won't stop. 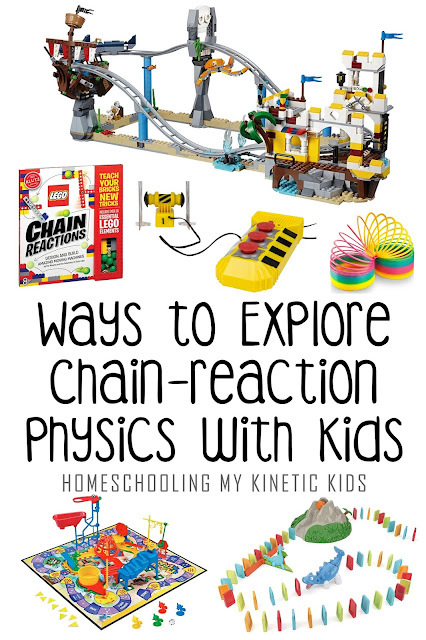 Dominoes aren't the only way for kids to study chain reactions and physics. 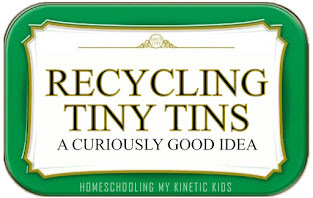 Check out these cool toys and click on the links to see them on Amazon.